Need a better converting plumbing landing page? 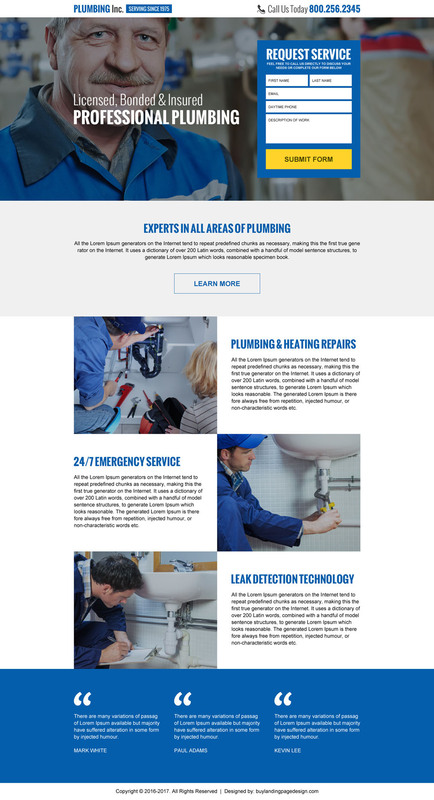 Strengthen your online presence with our target focused plumbing services landing page designs and boost your web conversions. Promote your residential and commercial plumbing service online at a very nominal price with our effective and organized responsive plumbing services landing page designs.